With fake and cheap copies of high-end popular designer wears increasing in the market, fashion experts have expressed their concern over plagiarism being on the rise in the industry. “I think it (plagiarism) is an international problem, it is not just an Indian problem. It is said that plagiarism is a form of flattery (as the designs are getting copied). I don’t subscribe to it. I am against it,” noted designer Wendell Rodricks told PTI. “It took me seven years to patent my name Wendel l Rodricks as a brand. One should look to solve this problem the earliest,” he said. According to well-known designer Anita Dongre, the fashion industry should come together to tackle the issue. “Now everything is digital, some of the designs get copied immediately online. All my lehengas are copied. It is sad,” she said. Echoing similar sentiments, designer Masaba also feels that plagiarism is the worst part of the fashion industry. “It is sad that there is no control on the copycats... and too many undeserving people are getting recognition and chances to showcase,” she said. 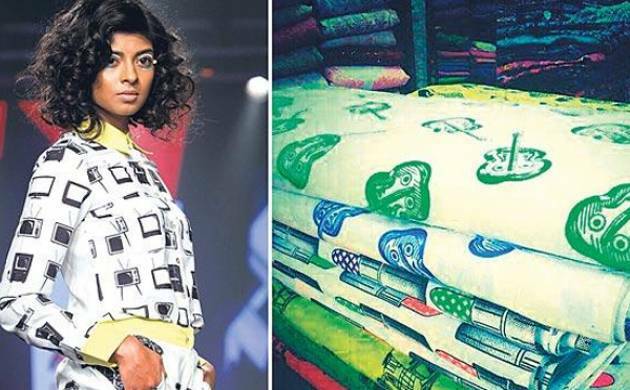 Masaba is known for her innovative prints and one can often see fake designs being sold at lesser prices. “We are one of the most copied design houses in the country, and you just have to figure it if it eats into your business. If it doesn’t, you shouldn’t waste your time and money on it,” she said. Masaba, however, feels one can take culprits to court. “Legal action can be taken if you have the bandwidth, but the fake market is too huge to tackle and lawmakers are extremely slow to act on it.” Wendell also thinks in a country like India, the legal matters pile up and it takes time, which is the sad part. “The amount of time it takes in this country to bring someone (guilty) to court is too much. Ritu Kumar (designer) had taken people to court and won. But it is one of its kind of a case. You need to give that much amount of time,” he said. According to designer Gaurang Shah, one should take it as a compliment if their designs are copied. “In a way it is a compliment that others are following you. But it is annoying as you work so hard and the design gets copied. It is a challenge for designers to come up with new ideas,” he added.